◊Adequate calcium as part of a healthful diet, along with physical activity, may reduce the risk of osteoporosis in later life. Calcium and Vitamin D work synergistically to give your bones the support they deserve. ** Calcium is the primary mineral responsible for strong bones, while Vitamin D aids with the absorption of Calcium in your body. ** Provides you with an excellent source of the highest quality Calcium available. Other Ingredients: Vegetable Cellulose, Croscarmellose Sodium. Contains <2% of: Vegetable Magnesium Stearate, Hydroxypropyl Methylcellulose, Glycerin. Calcium 600 mg + Vitamin D3 is rated 4.7 out of 5 by 25. Rated 5 out of 5 by Jose from Excellent product. Excellent product for the money. Rated 5 out of 5 by Sue from Great product I have used this product for several years.love it. Rated 5 out of 5 by MasterGardener from Kudos for calcium I've been taking the Bone Active Calcium with Vitamin D3 for over a year and am very pleased with the product. I don't find the caplet shape hard to swallow and the formulation does not have an offensive after taste (in fact there's no after taste). 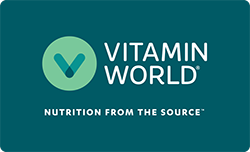 I think the product is reasonably priced and Vitamin World offers great promotions from time to time. (I recently bought this product on a Buy 1 Get 1 Free basis).